They had the conversation, Fetai said, after a meeting was scheduled of the Council of the Municipality of Centar at which several building plans, including the Small Ring building plan, were to be voided. 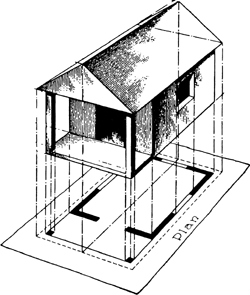 A copy of the building plan from a registered architect in conformity with the building bye- laws must be submitted along with a copy of the house tax assessment order or grant of permanent connection from the concerned electricity authority as collateral evidence of construction of building," a senior DDA official said. On Katcha Jail Road in Kot Lakhpat Area, the LDA staff demolished as many as eight shops which had been constructed in violation of approved building plan. Most of the municipalities in which there are most interested farmers, such as Bosilovo, Dolneni and Novo Selo, do not have detailed building plans. Smith added: "The association believes existing building owners will continue to strive for LEED and Energy Star certification once they get started with the AGPOM Green Building Plan. Discussing other amendments, he said the revenue department of the district will be asked not to transfer property over to buyers before checking the RMC's NOC and approved building plans for commercial buildings. CDA is not only sealing buildings illegally constructed in the vicinity but also formulating strategy of taking action against the owners who do not seek approval of building plan from CDA. A bright future is ahead for Queenslands $45 billion building and construction sector with the Palaszczuk Government releasing the new Queensland Building Plan (QBP). The online system will also help connect all the relevant entities involved in the creation of building plan documentation. What is shocking is that the Indian Navy's 15- year ship building plan for the period of 2002- 2017 proposed a force level of 159 ships and submarines by the end of the 12th Plan. Regarding the conversion of an existing building into a school facility, a full-fledged building plan of the existing building approved by an engineering consultancy firm and duly endorsed by the municipality should be presented to the respective municipality. Zarnovski stressed that the separate building plans being proposed were not in adherence with the general building plan.